EAST LIVERPOOL — Ruth Eleanor Cunningham, of East Liverpool, passed away Saturday, April 14, 2018 at Valley Oaks Care Center. She was 93. Born in East Liverpool, Sept. 26, 1924, she was a daughter of the late Henry and Helen I. Davis Porter. She was a member of the Orchard Grove United Methodist Church and later the First United Methodist Church. A member of the East Liverpool High School Class of 1942, she was also a graduate of the Ohio Valley Business College. 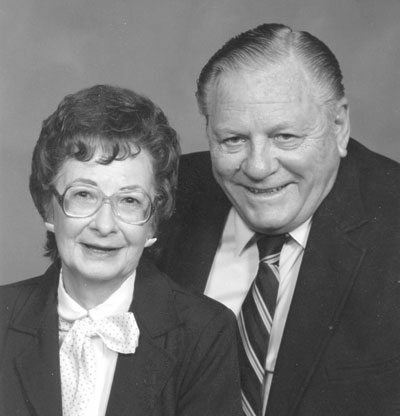 Ruth worked in the accounting office at the former Ogilvies Department Store and then worked for the Ohio Power Company where she met her husband, William H. Cunningham and the couple married Feb. 6, 1948. Bill passed away March 25, 2002. In addition to her husband, she was also preceded in death by her sister Betty Goodman. Survivors include two sons, William H. Cunningham, Jr. of Youngstown, and Timothy A. Cunningham and his wife, Karen, of Chester, as well as a sister, Eleanor Humphrey of East Liverpool, and a brother, Robert Porter of East Liverpool. Ruth also leaves two granddaughters, Kerry Marie Cunningham and Shelby Ruth Cunningham both of Chicago. Rev. Larry Hukill of the church will conduct a funeral service Monday at 12 noon at the Dawson Funeral Home. Friends may visit two hours prior to the service at the funeral home. The family would like to thank the staff at Valley Oaks Care Center and Community Hospice for their kind and compassionate care.